Huemor Designs is one of the best website design firms in the business. This firm starts every client relationship by finding out what makes you and your business tick. They get to the heart of what your company is about and what your customers are looking for. Huemor Designs has offices in New York and Pittsburgh. The firm has won numerous awards and represents many large and successful clients. Some of their notable clientele include NBC, Geico, Arcadium and The United Way. They have the experience to assist large clients and the personal touch to handle any project. Even if your business is just starting, their website designs can help you to achieve a professional, online presence. Websites are always designed with the viewer and potential customers in mind. 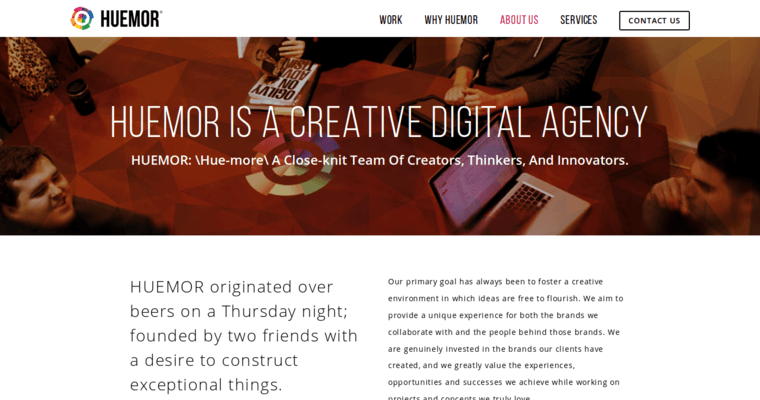 A Huemor Designs website will be attractive, helpful and intuitive to use. Huemor Designs can help give your brand an edge.